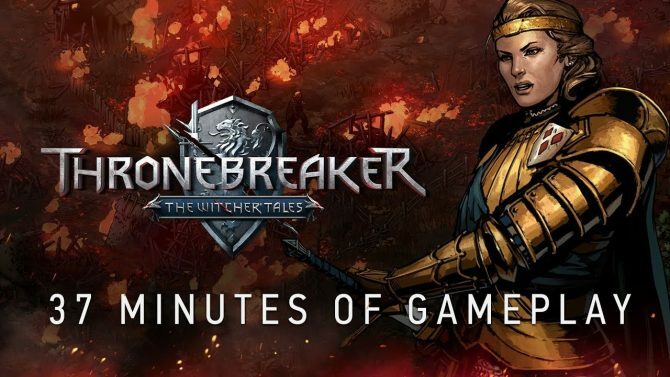 An official gameplay trailer for Thronebreaker: The Witcher Tales has been released onto YouTube showing Queen Meve of Lyria and Rivia on her quest to stop the invading Nilfgaardians from conquering her land. 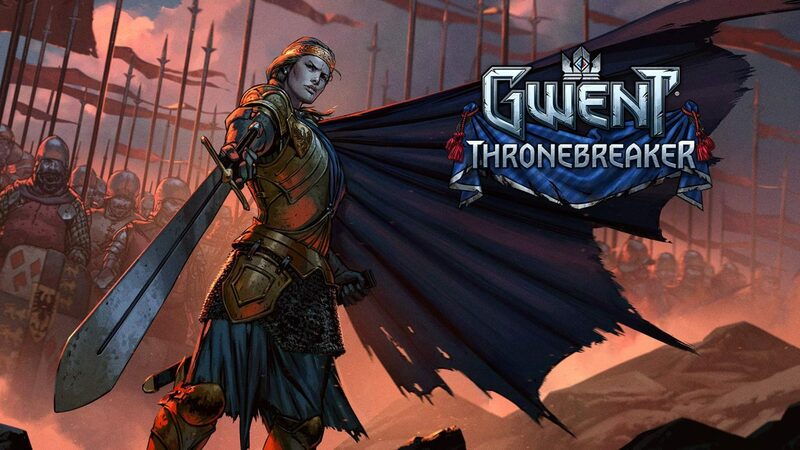 As a single player RPG, Thronebreaker: The Witcher Tales is a narrative-driven game taking the card battle mechanics of Gwent and merging them with exploration, decision making, and unique puzzles. Taking place in the familiar world of The Witcher series, traversing the world is now shown from an isometric perspective with a world heavily stylized to match the art of Gwent: The Witcher Card Game upon which its main gameplay is based on. Throughout the game Queen Meve will travel to various Northern Realms in order to forge alliances and avoid Nilfgaardian spies. As shown in the official gameplay trailer for Thronebreaker: The Witcher Tales, the War Camp is your base where you recruit and boost troops. Supplies and resources can be found in the world and obtained from monsters guarding them, from trolls to necrophages to dragons. Battles are fought using the Gwent system and some will contain special rules that make battles more interesting than just simple winning. As is now expected of any Witcher game, choices have consequences and as Queen of two realms fighting a war, they’re much more important and far reaching than a Witcher contract. Some choices may even affect the morale of your army. Some locations you will visit are entirely new to the franchise: Mahakam, Aedirn, and Angren being three of them. Characters you come across will be often be entirely new as well, though some familiar faces, Gerlat of Rivia in particular, will appear as well. While Meve may be queen of Rivia, that moniker and accent was adopted by Geralt to make him more relatable by his human customers. A 37-minute walkthrough posted last Friday which included commentary from Pawel Burza, the community manager at CD Projekt Red. There is also a poster contest whose submissions will be closing tomorrow. Winners will receive a Wacom Intuos tablet, a copy of the game, and a goodie bag and have their posters printed in metal to be sent to the creator and one other person. 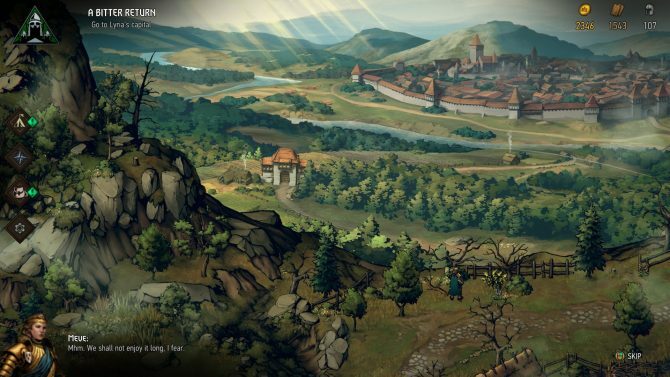 You can watch the official gameplay trailer for Thronebreaker: The Witcher Tales below. It will launch on October 23, 2018 for PC and come to PlayStation 4 and Xbox One on December 4, 2018. Thronebreaker has does some good work modifying the familiar Gwent rules, they just get overshadowed by the main questline and decisions along the way.